Thomas Ingmire was born in 1942 in Ft. Wayne, Indiana. He received a Bachelor’s degree in Landscape Architecture from The Ohio State University and a Master’s degree in Landscape Architecture from the University of California, Berkeley. Both of these programs involved intensive graphic and fine arts studies. He worked in the landscape architecture field and in the early 1970s discovered calligraphy. He joined English master calligrapher and illuminator Donald Jackson’s one-year postgraduate program in the Art Department at California State University, Los Angeles. In 1977 he submitted work to the Society of Scribes and Illuminators (SSI) in London, and became the first foreign member to be elected as a Fellow of the SSI. 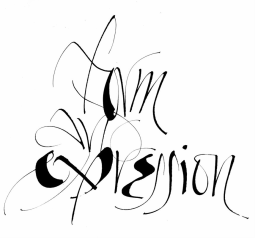 In 1980, Ingmire was granted a Newberry Fellowship for a continuing study of calligraphy. Public Library, Special Collections; San Francisco Public Library's Special Collections; The Morgan Library, New York, NY; The National Gallery of Art, Washington, D.C.; The Newberry Library, Chicago; Indiana University; Purdue University; Herron ArtLibrary; The Victoria and Albert Museum; The Sackner Archive of Concrete and Visual Poetry, Miami Beach, Florida; Stanford University Special Collections; Young Research Library Department of Special Collections at the University of California, Los Angeles; Stiftung Archiv der Akademie der Künste (Academy of Fine Arts), Berlin, Germany; and in many other public and private collections throughout the world. Since 2002, Ingmire has concentrated on the making of artist’s books. He has embarked on a number of collaborative projects, including the Pablo Neruda and Federico García Lorca series of books with Manuel Neri; work as an illuminator on the St. John’s Bible; and the creation of original books with numerous poets including Jack Hirschman, Tsering Wangmo, and English poets David Jones Annwn, Robert Sheppard, Alan Halsey, Geraldine Monk, Christine Kennedy, and Allen Fisher. Thomas Ingmire currently lives and works in San Francisco, California.